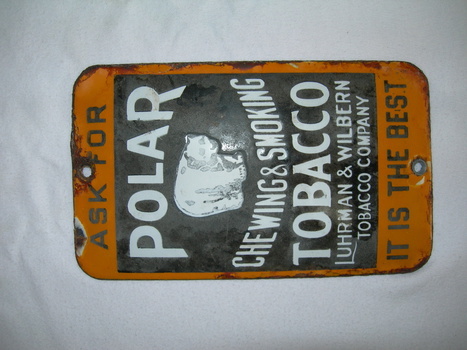 In Signs > Door Pushes And Pulls > Show & Tell and Signs > Tobacco and Smoking Signs > Show & Tell. I dug this sign out of an ash pile with bottles dating from 1860's to early 1900s. I saw a black white and red version on Ebay, they gave that one a date from 1930's, I guess this is an older version? Should I spray with clear enamel to preserve? Is it a common sign.